Nikon USA Factory refurbished with 90 Day Nikon Warranty. Brilliant in every aspect, the COOLPIX S02 has 7.3GB of Memory & delights with its mini size and performance. Capture high-resolution photos and Full HD 1080p videos, even in poor lighting. Nikon factory refurbished products have been restored to factory specification of brand new operating condition and carry a 90-day Nikon Warranty. These product have minimal or no signs of prior use and are in mint or near mint condition. 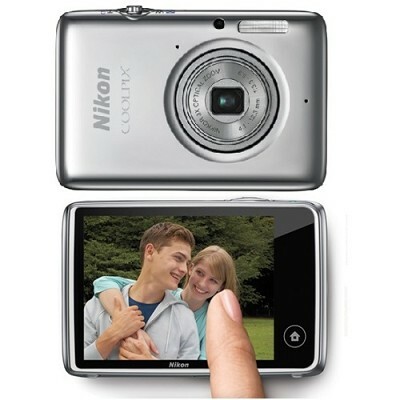 Brilliant in every aspect, the COOLPIX S02 delights with its miniature size and performance. Capture beautiful high-resolution photos and Full HD 1080p videos, even in poor lighting. Frame wide group shots and landscapes, or zoom in for detailed close-ups with a superb 3x Zoom-NIKKOR glass lens. No need for memory cards or batteries-everything you need is built-in for your convenience. And even though it?s astoundingly small, the COOLPIX S02 is extra easy to operate thanks to a full-size touch screen and built-in intelligence. Take the COOLPIX S02 everywhere and capture the moments that matter with style. No need for extra memory cards or even batteries-both are built-in to the COOLPIX S02 for your convenience. The 7.3 GB internal memory holds approximately 2,300 still images, so you?ll have your favorite photos at hand whenever you want to share them. The built-in rechargeable battery shoots approximately 210 shots on a single charge, and the included USB charger lets you charge from a computer as well as a household outlet.